The main media consultant for the “independent” pro-Romney super PAC Restore Out Future, Edsall notes, is Larry McCarthy, who crafted the most vile Willie Horton ad of 1988. 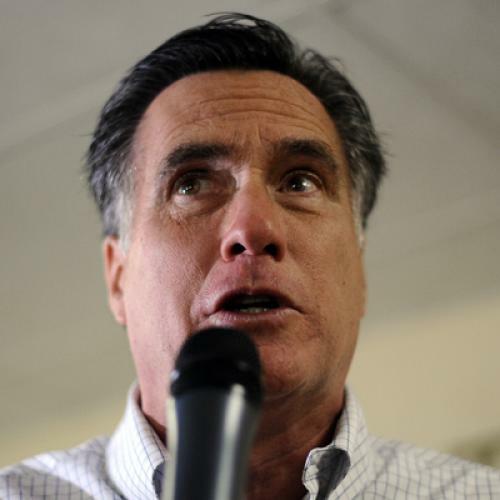 Edsall sees the Romney campaign using race in two ways. Most overtly, the Romney campaign is accusing President Obama by of gutting welfare reform by dropping the work requirement—a gross distortion of an unexceptional waiver Obama may grant several states allowing them to experiment with alternative ways to meet the work requirement. Two of the five governors requesting the waivers were Republicans, and among those who have denounced the workfare accusation as flat-out untrue is the Republican former congressman and current talk-show host Joe Scarborough. The second way Edsall sees the Romney campaign using race is more subtle. According to Edsall, Romney is conveying a racially-charged message in accusing Obama of taking money away from (mainly white recipients of) Medicare to fund (majority non-white recipients of) Obamacare. The idea that welfare recipients could be a plausible electoral base for any candidate is, of course, laughable. The entire caseload for Temporary Assistance To Needy Families is only about two million families (down from about five million in 1994 under TANF's predecessor, Aid To Families With Dependent Children). And not a lot of TANF recipients vote. State welfare agencies are required, under the 1993 motor-voter law, to give welfare recipients the opportunity to register to vote, but for some reason the percentage of welfare recipients taking advantage of this opportunity has declined 79 percent since the law was first implemented. Republicans are obsessed with the idea that welfare recipients shouldn't be permitted to vote. Scott Brown has made a huge stink about an attempt to register TANF enrollees—i.e., to obey the motor-voter law—in Massachusetts. Glenn Beck and David Horowitz have long demonized Frances Fox Piven and her late husband, Richard Cloward, for trying to encourage lower-income people (including, yes, welfare recipients) to vote and engage in political protest. This effort, it’s fair to say, has proven a pretty dismal failure so far. The real story about TANF, Jason DeParle explained in an April 2012 story for the New York Times, is that it did a miserable job of keeping up with rising need during the 2007-9 recession and the “recovery” that followed it. (As I noted in an earlier post, median household income has actually fallen more steeply during the recovery than it did during the recession.) Since 2007, DeParle reported, eleven states had cut welfare rolls by at least 10 percent, even as the number of very poor families has been growing. It's probably true that most people on welfare who’ve given the matter any thought prefer Obama to Romney. But if Obama is trying to turn TANF into a political base, presiding over its failure to help families in need during an economic downturn seems a peculiar way to go about doing it. Of course, Romney isn’t interested in the facts; he's interested in associating Obama with black and Hispanic undesirables bent on collecting welfare benefits and robbing white elderly people of their health insurance. The son of a politician who walked out of the 1964 Republican convention because of its opposition to blacks could well end up encouraging anti-black sentiments at the 2012 Republican convention. Like Poppy Bush, Romney is not a racist himself. He is, arguably, something worse: A man who, because he has no particularly pronounced views himself, is willing to say just about anything to get himself elected president. Correction, Aug. 29: An earlier version of this column stated, erroneously, that Obama had granted the waiver. He has merely invited states to apply for waivers.